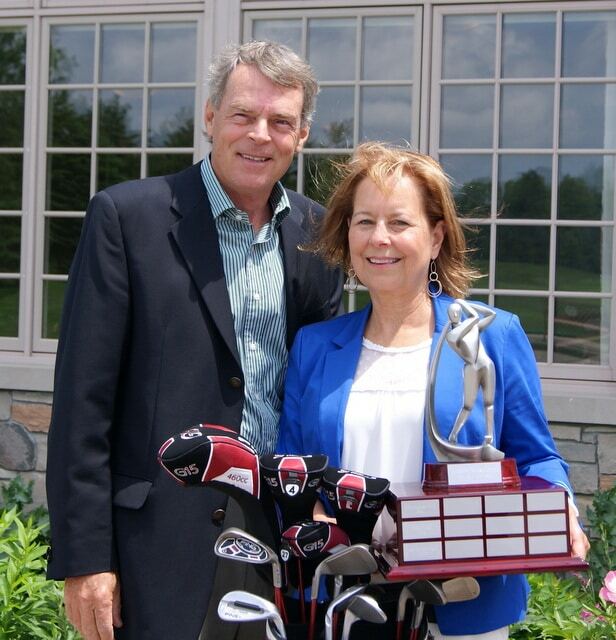 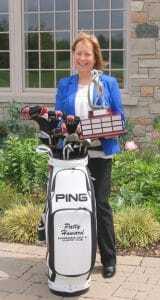 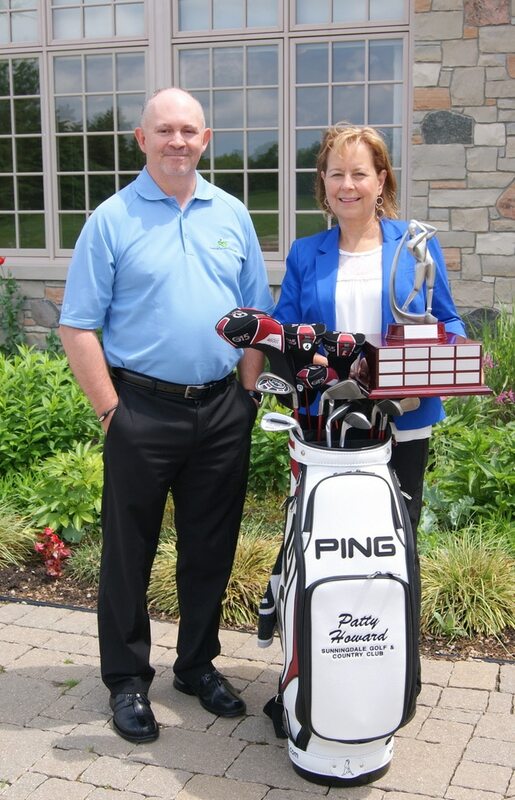 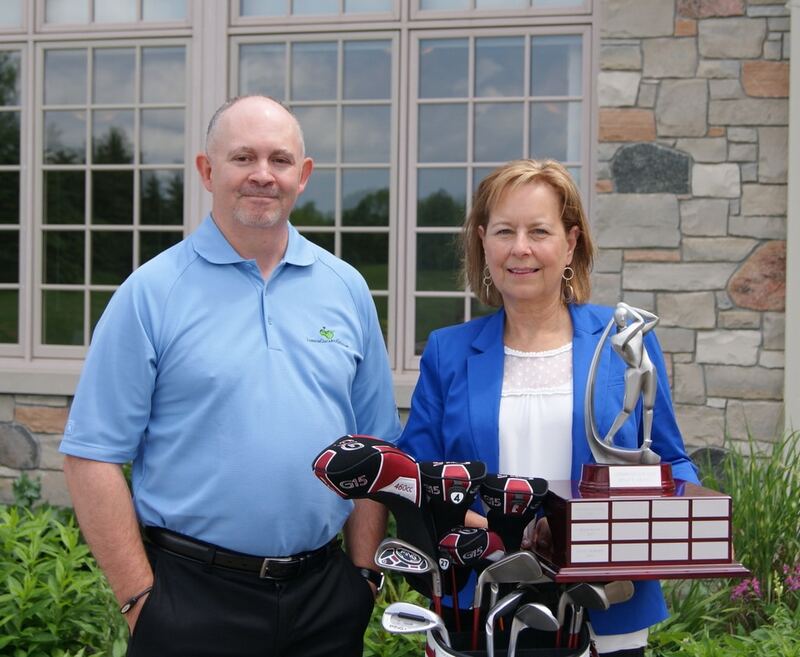 Today, London Ontario Golf was proud to present Sunningdale G&CC Director of Golf Patty Howard with the 2013 London Ontario Golf Heart Award. 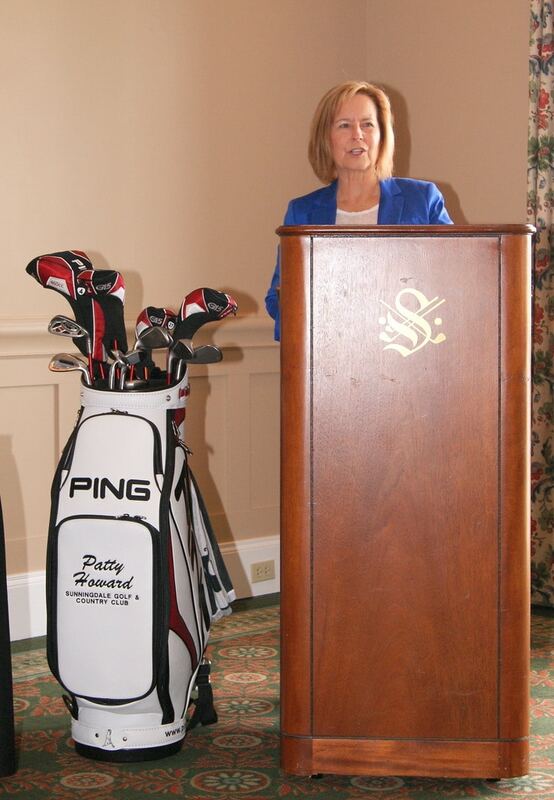 Here are some photos from our day at Sunningdale. 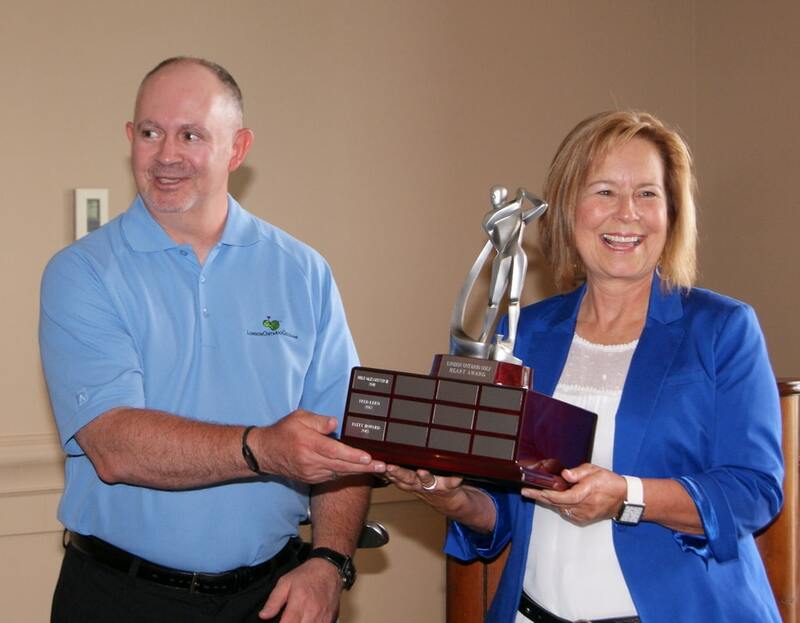 Read the official news release announcing Howard’s award here. 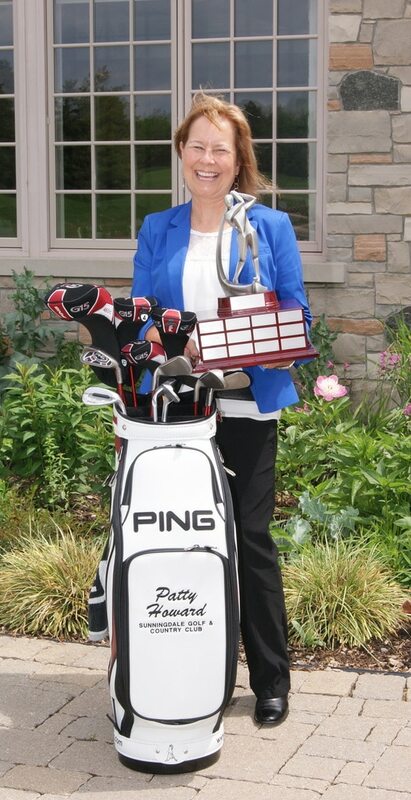 Read a feature story on the career of Patty Howard here. 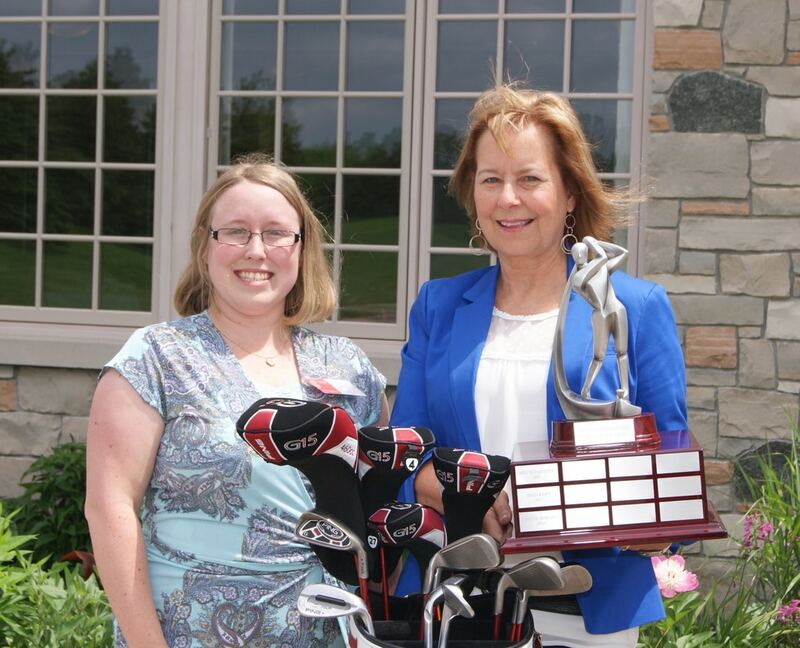 (L-R) Denise Love, Program Director, Heart & Stroke Foundation of Ontario (London), Patty Howard, Director of Golf, Sunningdale G&CC, Jeffrey Reed, Publisher & Editor, LondonOntarioGolf.com. 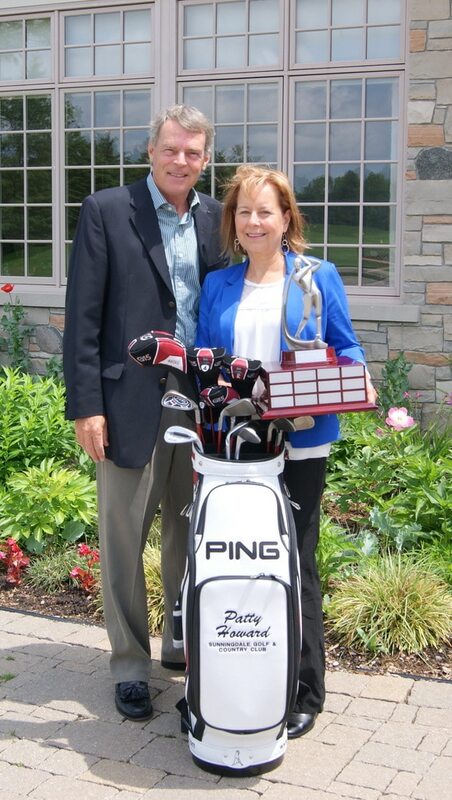 Patty Howard with husband Dave Reid outside Sunningdale G&CC clubhouse. 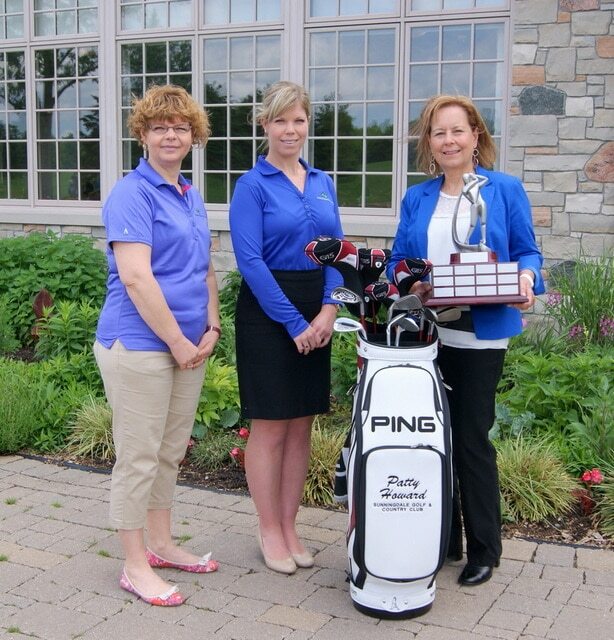 (L-R) LondonOntarioGolf.com Community Relations Director Beth Reed, Editor Assistant Kristy Smith, Patty Howard.